Despite being inherently different in their sword styles, both games offer a level of high-intensity combat not seen in other titles. Weapons in video games are all about dealing damage in the most stylish of ways possible, and nothing looks as incredible as expertly slicing through baddies with an exquisite sword. Two massive games due out next year, both of which feature sword-wielding heroes, is Sekiro: Shadows Die Twice and Devil May Cry 5. Both these games have taken the art of swordplay to the next level, evolving it into something even more beautiful and powerful. Devil May Cry is a series as old as time itself, first appearing on PlayStation 2 back in 2001. Since its inception, the franchise has made huge leaps and bounds both graphically and with its high fidelity action. 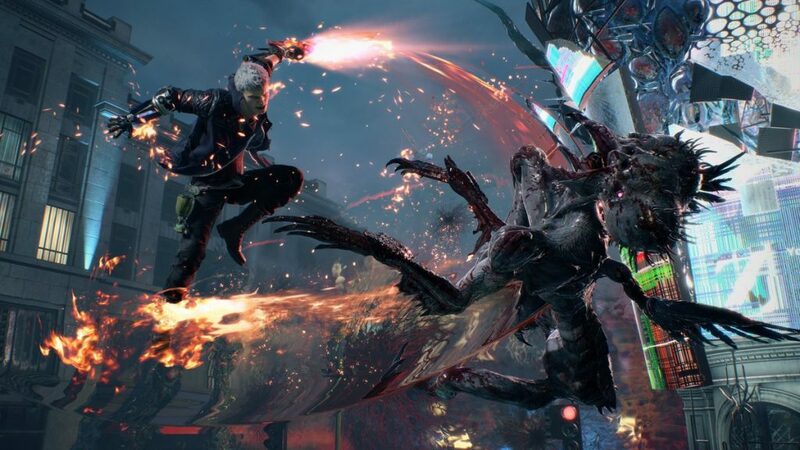 Fans of the demon-slaying heroes have always been drawn to the huge and outrageous combos that are possible when expertly weaving together sword slashes, handgun blasts, and aerial manoeuvres, and now with Devil May Cry 5, a new enthusiasm has been injected right into the veins of the action. Finesse and precision aren’t words often used to describe Devil May Cry’s combat as the gameplay has always focused more on style and flare than the subtleties of sword art. 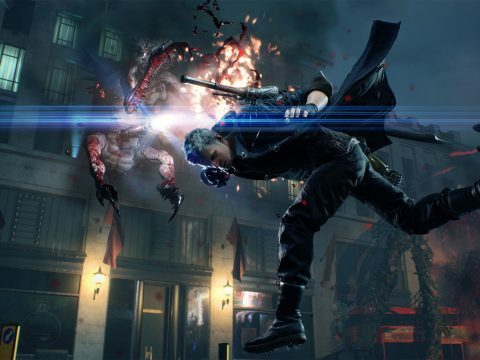 With Devil May Cry 5, this style has been turned up all the way to 11 with Nero’s new prosthetic arm featuring an array of functions, including a grappling hook. This shakes up the standard combo of sword and pistol, allowing skilled players to toy with their enemies even more, increasing the combo counter up to – and hopefully beyond – an Apocalyptic rating. It’s a pulse-pounding experience that long-time fans will feel immediately familiar using, even with the new additions. Pulling off huge combos and visceral attacks has never felt so good in a Devil May Cry title. Where Devil May Cry 5 excels at over-the-top action with fantastical aerial juggling and combos, Sekrio: Shadows Die Twice firmly plants its feet in reality with another form of fast-paced sword play. 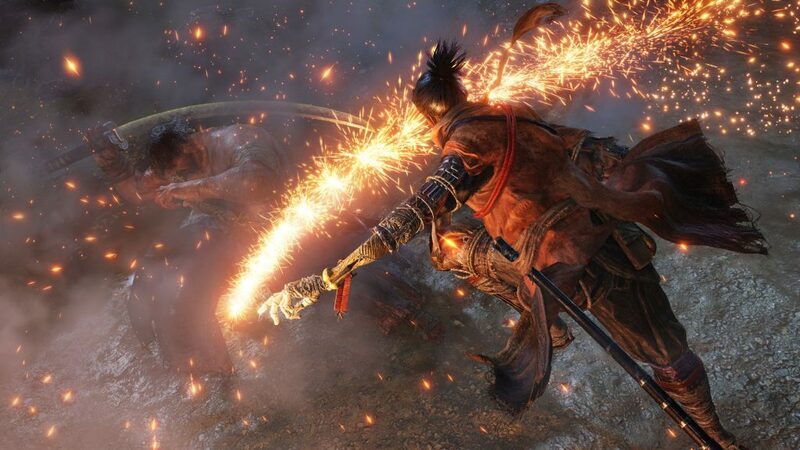 Sekiro’s sword-versus-sword combat focuses heavily on stances, posture, and looking for the perfect opening against an enemy combatant. Whether they’re a small minion or a hulking ogre, Sekiro demands that each engagement be taken seriously. 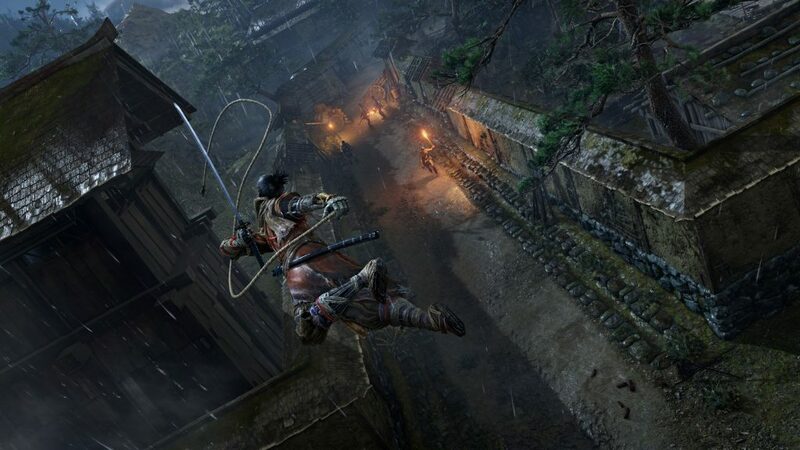 However, despite this seriousness, Sekiro is also exceptionally fast-paced, rewarding players who can quickly string together their tools to eliminate a target. A shuriken blast from the hero’s prosthetic arm followed by a flurry of slashes from a katana can lead into a one-hit deathblow against even the most heavily-armored enemy. It’s an experience that can make you feel like the most dangerous and talented ninja in 1500s Japan. This sense of skill and power is especially true when combining the fireball blast attack with a swing of the katana, which sets the sword on fire for a short time. It’s this creativity in combat which leads to countless scenarios where the player feels like they’ve truly honed their sword skills. 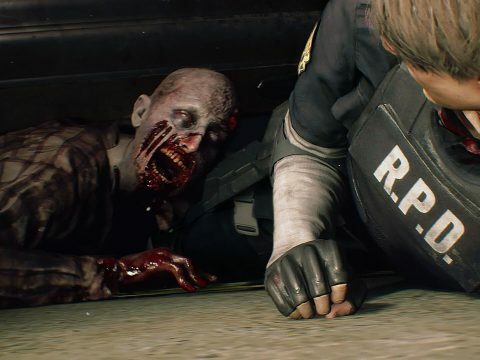 Speaking of the hero’s prosthetic armor, Devil May Cry 5 isn’t the only one to feature a character with high mobility and a grappling hook. Fans of From Software’s Dark Souls and Bloodborne series will no doubt feel comfortable attacking from the ground, but they will need to get used to moving through the air because Sekrio: Shadows Die Twice brings a grappling hook out to play. This tool allows players to tether to set points in the environment, a useful mechanic to gain an overview of the battlefield or alternatively, a leaping-off point for a spectacular aerial deathblow. Outside of how the combat feels in these titles, the audio of actually landing attack is exceptional. 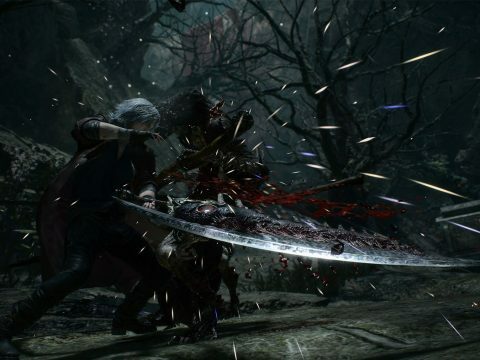 Sekrio’s sword-on-sword action is the iconic “clashing of steel” while Devil May Cry 5’s attacks sound like Nero is really cleaving the flesh of demons in half. All of these audio cues are going to sound phenomenal when coupled with a headset like the Stealth 600. The audio presets, which include a bass boost, will leave each strike of steel resonating with realism unmatched by other games. These games are so much more than just the look and feel, as each element of the game – visuals, controls, and audio – come together to evolve the way of the blade. There’s a raw and visceral feeling to both Devil May Cry 5 and Sekiro: Shadows Die Twice. Though they each handle swordplay and combat differently, each one offers a fresh and exciting take on using a blade in combat. 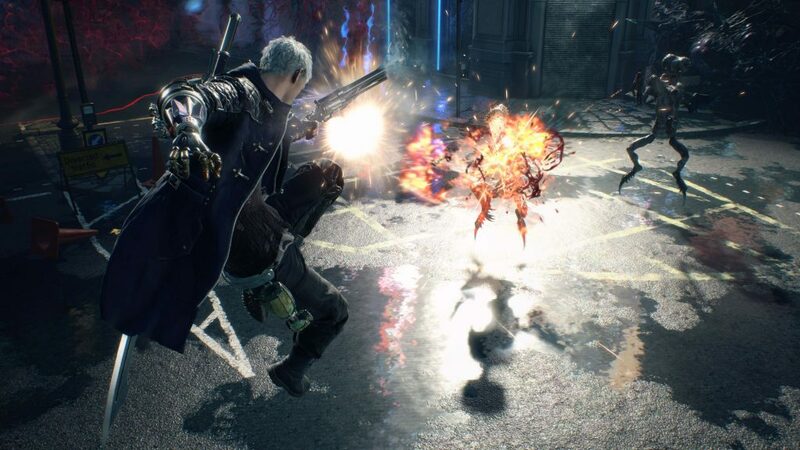 Stringing together unreal combos while juggling multiple enemies in the air is a uniquely Devil May Cry experience that has been honed to a sharp perfection in Devil May Cry 5. As for Sekrio, stringing together the various equipment and weapons into a proverbial dance of death feels unlike any other sword-focused game on the market, and will no doubt be an experience players remember for a long time.